The original recipe calls for green peas. Since i didnt had green peas at hand, i tried it with cauliflower. The recipe is adapted from “Popular Restaurant Gravies” by Tarla Dalal. 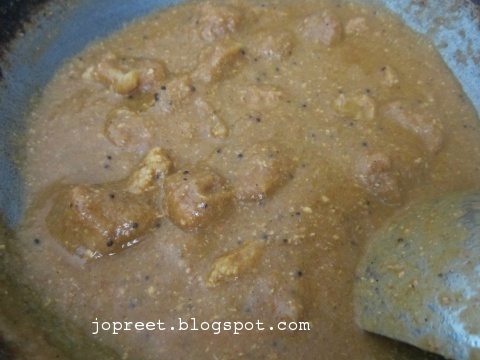 Heat 1 tsp oil in a pan or kadhai and fry the chopped onions till it turns golden brown. Remove from the heat and allow to cool. Grind in mixer to a smooth paste. Keep it aside. Heat 1/2 cup water and add chopped onions and cashew. Cook for 10 mins and remove from the heat. Allow to cool. Preserve the water. Take out onion and cashew alone. 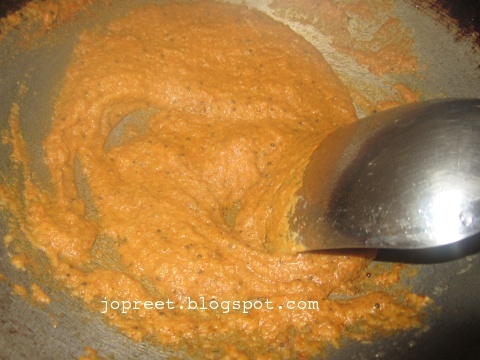 Grind in a mixer along with 1/2 tbsp ginger-garlic paste. 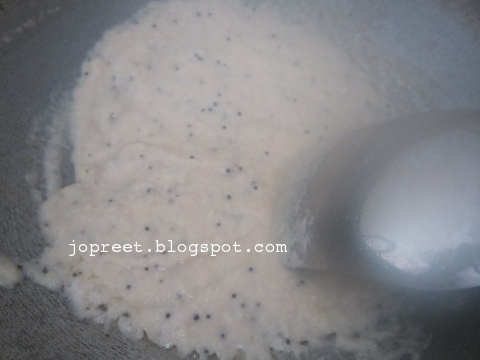 Heat 2 tbsp oil in a pan or kadhai and temper mustard seeds. Add onion & cashew paste to it. Saute a while. Add ginger-garlic paste, turmeric powder, red chili powder and garam masala. Saute a while. Add curd, onion paste and salt to taste. Mix well. Add preserved water and cook it covered for 10 mins. Add boiled cauliflower and soya chunks to the curry. Add 1/2 cup water and cook it covered for another 10 mins. 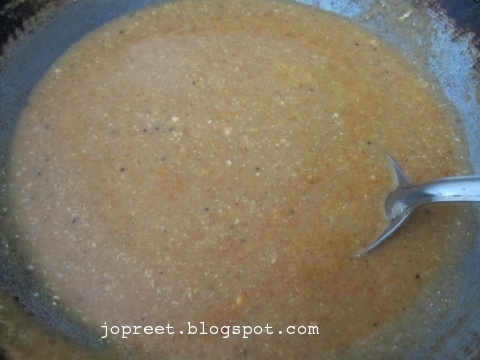 Serve hot with roti. very new to me ! and looks like well go with dosai item ! Yummy combo with rich gravy. Nice combo with roti. Delicious combination.. Looks very flavorful. Wow Nice combo Preeti. must have tasted great. I never had soya, What flavourful gravy! Soyachunks and gobi in a new dress,am loving it, excellent side dish for rotis. Just loved this healthy combo of ingredients. The pictures are outstanding!!! Delicious soya chunk curries love it. Lovely dish.. Great combo for rotis..
Looks so inviting and tempting. Delicious and inviting curry. Nice combo. New combo ….I make soya and peas …this is totally new to me !!! preeti, delicious new curry to try. A creamy soya preparation, looks very tasty! "Pasanda" attracted me. Unique combo of soya & gopi!